I would highly recommend you buying this app. At a mere 99 cents, Kopfnuss is a great bargain. The game is well-made, and it offers plenty of challenging gameplay that almost anyone would enjoy. 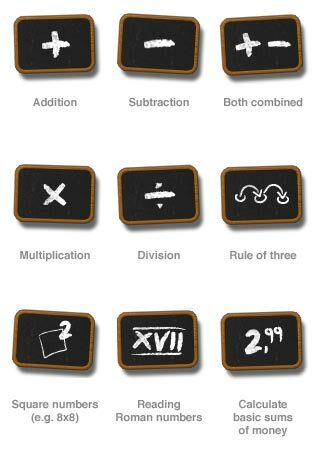 Elementary schools math in an enjoyable way. 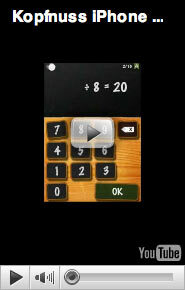 Math game with a nicely done interface, that trains your mental arithmetic capabilities. A well-made App for your entire family. Top! This app is just perfect! What a great way to get one's couch potato brain of its couch. Well-thought-out, beautiful and challenging app. 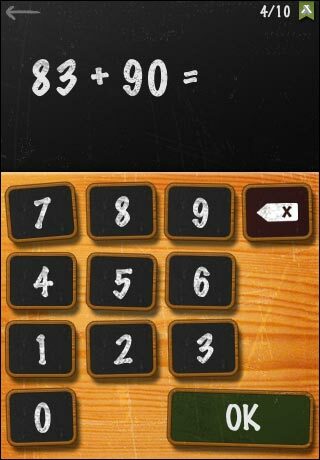 A fun, friendly app to keep your mind sharp, quick and flexible. Here to rescue the world. Super App - highly addictive. This incredibly well polished game has a beautiful simple interface and challenging gameplay. 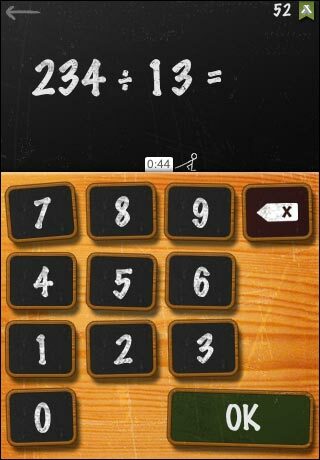 Kopfnuss is an app that helps you train your brain in order to deal with all kinds of numbers. Whether you're summing up your shopping bill, tipping appropriately at your local diner or deciphering roman numbers on historical buildings - soon everything appears to be as easy as 1+2=3. If a picture's worth a thousand words, imagine how much more a film could do. Kopfnuss could help you calculate that - this little youtube clip shows you the range of its functions and how to use them. Kopfnuss is a friendly application - there's a personalized welcome. Right at the start, you will be shown the latest user, the current level of difficulty and 6 of the 9 different kinds of exercises. The other 3 are just a fingerflick away. 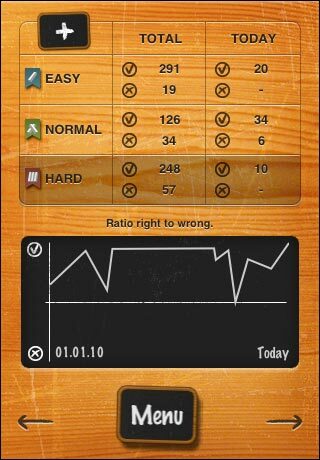 You can choose the level of difficulty for all exercises and the time trial mode on the start screen. Share Kopfnuss with your family, your roommates, your best friend - the app provides user profiles for each and everyone. Kopfnuss remembers the number of correct and false answers for everyone and their highscores and trophies respectively. To edit users or to add new people just tap the name on the start screen to enter the user management. 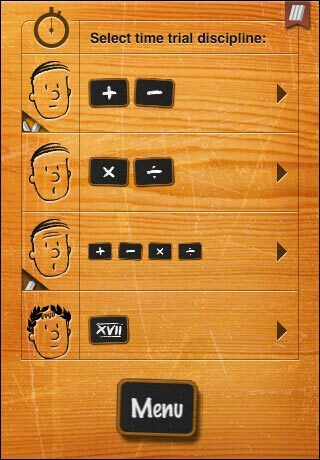 With Kopfnuss, you can practice basic arithmetics, the rule of three, roman and square numbers and calculating basic sums of money. Each exercise contains ten problems. Take your time solving them, there's no time limit. If you get one wrong, Kopfnuss will show you the correct answer and ask the same question later again. 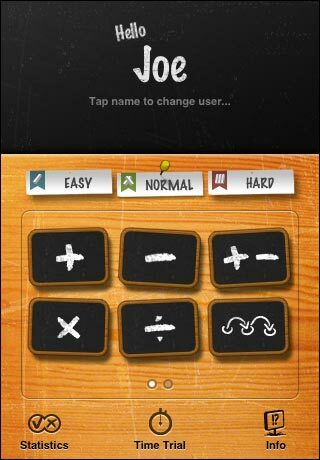 If hard is no more challenge to you, Kopfnuss will increase the level of difficulty. If your score withers, the problems get easier again. Math problems: one by one until you run out of time. 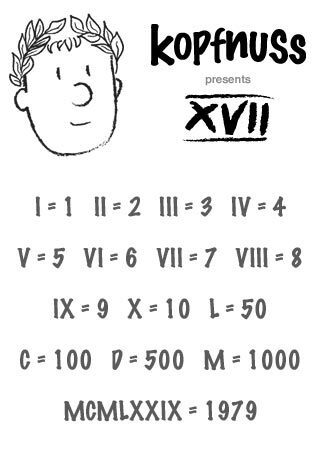 Rules: credits for correct and quick answers, if you answer incorrectly, points will be deducted. 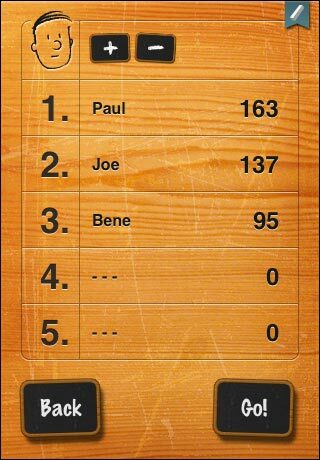 Award: Highscore list entry and trophies on your own iPhone/ iPod Touch. 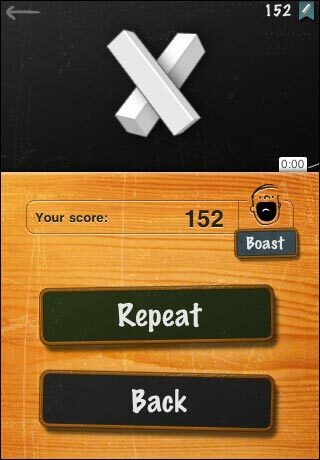 And you can publish your score on Facebook too! Kopfnuss remembers how many problems were solved right or wrong. For every user, difficulty setting and kind of exercise. The gathered data is rendered into an attractive chart - combined or separated by exercises - that way you can review your progress from first use to the present day.